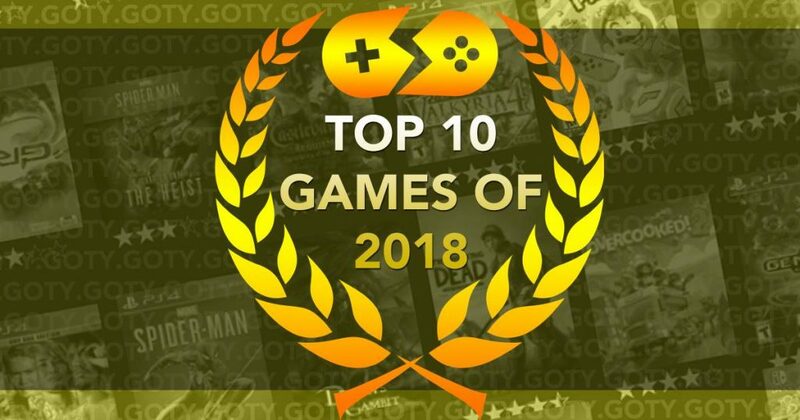 Check out the Top 10 Games of 2018 as chosen by the SmashPad Staff. 2018 has been a hell of a year and, unfortunately, we have to arbitrarily put together a list of the top ten games of the year as voted on by the SmashPad Staff of our favorite games of the year. There are many great games that didn’t make this list that made many of our individual lists, so check out those lists to see some more great games you should check out if you haven’t already done so. 2019 has its work cut out for it to be better than 2018, though the games coming out the first two months of the year look to be a killer lineup if they live up to their potential. Stay tuned for SmashPad in 2019 as we ramp up our video and stream coverage alongside more written coverage. As for some stats on our Top 10 list below, the top four games were very close with six points separating the first and fourth games, which is as close as we’ve ever seen for that many games. On the other side of the list, the bottom five games have a five point difference from sixth to the tenth game, which shows how tightly contested this list was compared to past years where maybe the top game or two were runaway winners with nothing else being all that close. Sony had a great year with two of their games placing highly on the list below and Nintendo was close with two games they technically published, though Square Enix made one of them that technically isn’t a Nintendo game. The rest of the list includes two indies and games from Square Enix, Bandai Namco, Capcom, and Rockstar for a varied list of talented developers.